Fluorescent H3 histamine receptor antagonist (apparent KD values are 7.09, 6.55 and 5.71 for H3, H1 and H2 receptors respectively). 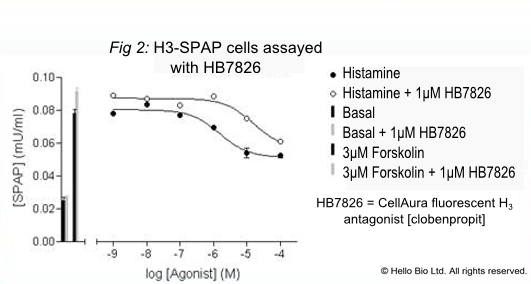 Also antagonizes the activity of Histamine, a H1 agonist. Displays no intrinsic activity. 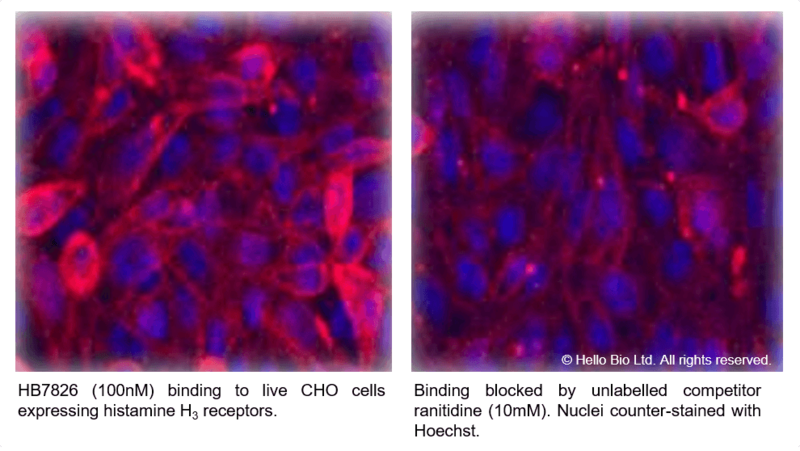 For imaging at H3, H2 and H1 receptors use solutions up to 100 nM. The CellAura fluorescent H3 antagonist [clobenpropit] ligand was shown to antagonize the activity of the agonist, histamine, in a recombinant CHO cell line expressing the human H3 receptor and a cyclic AMP-responsive secreted placental alkaline phosphatase (SPAP) reporter gene, and in similar cell lines expressing either the human H2 or H1 receptors. 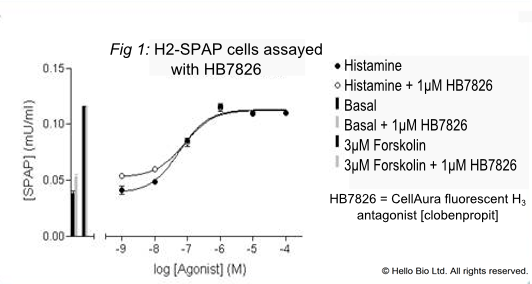 For the H3, H2 and H1 expressing cell lines, the cyclic AMP-induced expression of SPAP was measured under basal and forskolin-stimulated (maximal) conditions. 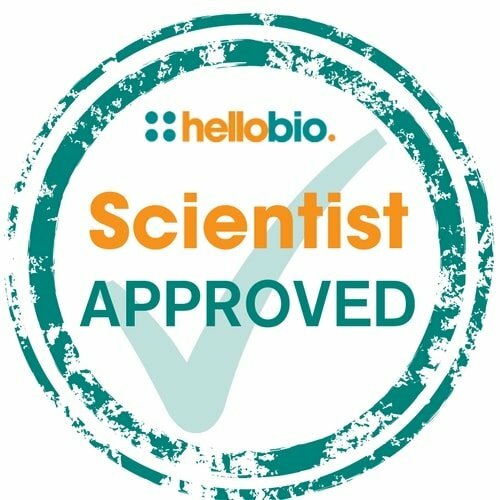 Addition of CellAura fluorescent H3 antagonist [clobenpropit] to the basal or forskolin-stimulated cells did not significantly alter basal and stimulated SPAP levels, demonstrating that CellAura fluorescent H3 antagonist [clobenpropit] has no intrinsic agonist activity. To determine the apparent KD for CellAura fluorescent H3 antagonist [clobenpropit] at histamine H3, H2 and H1 receptors, cells were treated with varying concentrations of histamine agonist alone, or in the presence of 1µM CellAura fluorescent H3 antagonist [clobenpropit], and the cyclic AMP-induced expression of SPAP measured. The apparent KD at H3, H2 and H1 was calculated from the rightward shift of the agonist response curve in the presence of CellAura fluorescent H3 antagonist [clobenpropit], compared to the response curve for the agonist alone. After thawing individual aliquots for use, we recommend briefly sonicating the sample to ensure it is fully dissolved and the solution is homogeneous. We do not recommend using the product after subjecting it to repetitive freeze-thaw cycles. The product, supplied in a dry form, is stable at ambient temperature for periods of up to a few days and does not require shipping on ice/dry ice.